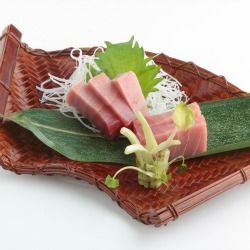 There are many restaurants and izakaya bars that serve tuna in Yokosuka because it is close to Misaki Port. The port is at the southernmost tip of the Miura peninsula and has one of the largest tuna catch in Japan. Tuna Store Tekka Tuna KOUKEIMARU, which is located in the Yokosuka Port Market, offers fresh bigeye tuna, southern bluefin tuna, and takeout lunches for sale.